Leath Elliott is a seventeen-year-old competitive shooter living with her mother in Woodvine, North Carolina. Leath’s father was killed in a tragic accident when she was fourteen, and her friend Victor Santana has been there for her every step of the way since. But the friendship starts to change when Victor develops deeper feelings for her. If that wasn’t complicated enough, newcomer James Turner, an emancipated minor with a dark past, wanders into her sights. Leath is captivated by him and wonders if he might be the boy of her dreams—literally. 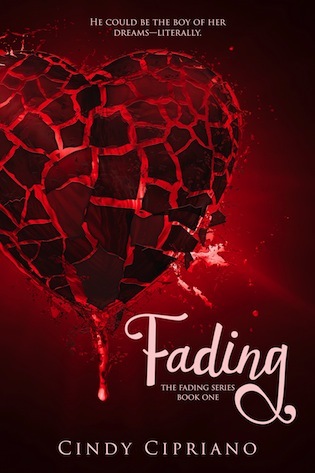 Fading is the first book in an exciting new fantasy romance series by award-winning author Cindy Cipriano. Thanks for hosting me today. I’m thrilled to be here to talk about my new paranormal romance, Fading, and pass on some tips I’ve learned in my journey as an author. First, a little about Fading, which is the first book in The Fading Series. Seventeen-year-old, Leath Elliott lives with her mother in the microscopic town of Woodvine, North Carolina. Leath’s father was killed in a tragic accident when she was fourteen, and her friend Victor Santana has been there for her every step of the way since. But the friendship starts to change when Victor develops deeper feelings for Leath. If that wasn’t complicated enough, newcomer James Turner, an emancipated minor with a dark past, wanders into her sights. Leath is captivated by him and wonders if he might be the boy of her dreams—literally. I often think of Fading as the VLJ story. As in Victor-Leath-James. Being in love is wonderful, heartwarming, and can leave you breathless. But, sometimes, it is so confusing! If you have ever loved two people at the same time, you can relate to what Leath is going through in Fading. Although some readers have expressed their choice (Victor or James), many feel the way the same way Leath does; she loves them both. Feeling Extra? Readers are often surprised to learn that one of the settings in Fading is a real place. Judaculla Rock is a 2,000-3,000 year-old petroglyph located in western North Carolina. Several legends surround the origin of the rock as well as the images that are carved into its surface. I’ve had the opportunity to visit Judaculla Rock a few times and have really enjoyed incorporating this setting into Fading. I’m often asked if I have any tips for new writers. The best suggestion I have is to join a critique group. No, wait. Join one yesterday. Learning how to give and receive thoughtful criticism will make your writing stronger. Writing is often an isolated endeavor. Being a part of a critique group helps foster a sense of community. It’s great having someone to turn to when you need to bounce ideas around. And, having a group discussion about your writing will help you see your story from a different perspective. I’m also asked about the editing process. I’ll leave you with my best tip for editing. Read your entire manuscript aloud. That really helps you notice mistakes and helps you smooth out the rough spots. If necessary, I suggest you record yourself as you read aloud the more difficult sections. 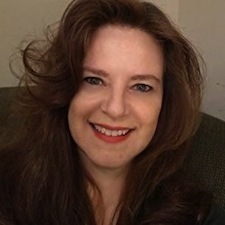 –Please visit www.cindycipriano.com to learn more about Fading.